For Sewer Pump Service in Mills River, Hendersonville, and Asheville, NC, Call Us Today! If your home or business is located below the main sewer line, then you most likely have sewage pumps. These types of pumps are used to elevate liquid or solid waste so that they can safely and properly flow to the main sewer lines or septic tanks. A lot of people think that sewer pumps and sump pumps are the same and while they both pump liquids out, sump pumps are used for flooded rooms, whereas a sewer pump removes sewage from one place to another. If you have a sewage pump that needs maintenance or repairs or you would like a sewage pump installed, you can rely on the team at All About Plumbing & Septic. At All About Plumbing & Septic our plumbers are able to provide affordable and effective sewer pump service in Mills River, Hendersonville, and Asheville, NC. Whether the sewage pump is located in the basement, laundry room, or septic system, we are able to install, repair, and maintain them. If you would like to make an appointment for your sewage pump, please call our office at 828-778-2425 for more information about this plumbing service. We look forward to working with you and getting your sewage pump back in great shape or provide you with a brand new sewage pump. Whether you need to replace your old sewage pump, install a new sewage pump, or you need repairs or maintenance, we are the plumbing contractors that you can depend on. At All About Plumbing & Septic, our plumbers are able to provide sewer pump service in Mills River, Hendersonville, and Asheville, NC for two kinds of sewer pumps, grinder pumps and sewage ejector pumps. If you have one or both to be replaced, repaired, or maintained, or would like one or both installed, just give us a call to schedule an appointment. To learn more about our sewer pump services, take a look at some of the information we have listed below. We Install, Repair, Replace, and Maintain Grinder Pumps. If you have recently moved to a home or built a business that is located lower than the city’s sewer line, which will require the use of a sewage pump to thrust sewage water from your home to the city’s sewer line. 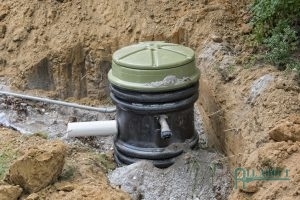 One of the sewage pumps that can be installed in a septic system, laundry room, or basement is a grinder pump. 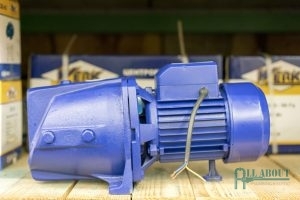 Not only does this pump propel sewage water uphill, but it also grinds your home or business’s sewage up, hence the name. If you are looking into this type of sewage pump for your home or business, our plumbers are more than happy to help you. We can set up an appointment for plumbing installation when you call us at 828-778-2425 and we can determine where the grinder pump will be installed. One of the nice things about grinder pumps is that they don’t need a lot of maintenance. However, in order to own a grinder pump that doesn’t require a lot of maintenance, you will need to avoid disposing or flushing cat litter, feminine hygiene products, diapers, floss, q-tips, cotton swabs, wipes, chemicals, and other things that you would normally throw away in your trash can. While maintenance isn’t always needed, you should still call a professional for routine maintenance. Our plumbers can provide you with plumbing maintenance for your grinder pump, so contact us to make an appointment for this kind of sewer pump service in Mills River, Hendersonville, and Asheville, NC. When you are having sewage backups in your home or business, one of the things to blame is a defective grinder pump. When you are having sewage backups, not only can it be very messy but it can also be very hazardous to the health of your family or employees. If you are having sewage backups in your bathtub, shower, sinks, or toilets, call us immediately! We offer emergency plumbing services, so if you are experiencing backups in the middle of the night or on a weekend, we are able to help you! We can provide plumbing inspections to determine if you need plumbing repair or replacement for your grinder pump. Don’t wait! Call us whenever you need sewer pump service in Mills River, Hendersonville, and Asheville, NC for grinder pump problems. Our Plumbers Service Sewage Ejector Pumps! Have you recently bought a home that has a basement or has your built a business with a basement? 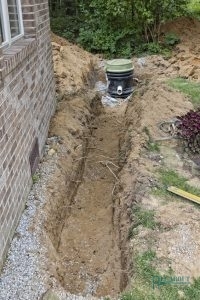 If the basement has a laundry room, bathroom, or kitchen, then it will need a sewage pump. One of the most common sewage pumps that are used for these types of situations is a sewage ejector pump, so if you think you need ejector pump installation, our plumbing contractors are able to help you out. With a high-quality sewage ejector pump that is professionally installed by one of our plumbers, you won’t have to worry about how wastewater will be lifted from your home or business to the main sewer line. If you require this kind of sewer pump service in Mills River, Hendersonville, and Asheville, NC, please call us at 828-778-2425 to make an appointment for plumbing installation service. In order to avoid sewage ejector pump problems, you will need to get plumbing maintenance for your sewage ejector pump. This is because the function of this sewage pump is extremely important to keeping your home or business clean or safe. We recommend that if you have a sewage ejector pump, you schedule maintenance at least twice a year. When you call us for maintenance, we will check out many things to ensure it is okay including, the alarm, pumping chamber, discharge line, pump basin, wires, and more. We will also check to see if odors, clogs, or leaks. Contact us today and we will be sure to find an appointment time that is convenient for you. Some of the most common ejector pump problems that you will find are ejector pumps that are too small or ejector pumps that aren’t installed correctly. When these things happen, it can cause issues with the sewage ejector pump. If you are hearing unusual noises, the pump has improper cycling, or there are foul smells coming from the pump, then you need to call us for plumbing inspection service. We are able to inspect your sewage ejector pump and determine if you need plumbing repair or replacement service. It is so important that you contact us at the very first sign of issues. Sewage backups are one of the problems that homeowners and business owners face when a sewage ejector pump is malfunctioning, so in order to avoid that from happening, dial 828-778-2425 to set up an appointment for this sewer pump service in Mills River, Hendersonville, and Asheville, NC. Updated on January 16, 2019 at 5:59 pm by All About Plumbing.